Many call Lionel Messi the GOAT – the Greatest of All Time – and one magazine has paid homage to that notion by doing a photoshoot with the Argentina star featuring a herd of real goats ahead of the World Cup in Russia. Argentina captain Messi, who will be his nation’s talisman this summer in Russia, posed with the animals in a photo session for US-based magazine Paper. Messi is seen pictured alongside a kid goat and fully-gown adults, in an article in which he discusses his love of animals as well as footballing themes. "I am a big fan of animals," the 30-year-old told the New York-based magazine. "I grew up with them and they have taught me many things. Now we have our dog Hulk who really is part of the family, we always include him. Our children learn so much from Hulk: The love shown between him and the kids and the kids and him is constant." Messi’s GOAT status comes across in his apparent ease with the animals, and he is seen holding a young goat while dressed in the famous white and light blue stripes of his Argentina No. 10 jersey. Footage from the photoshoot, which took place at La Granja Natura, a Barcelona farm and educational centre, shows Messi doing keep-ups and dribbling between a herd of the animals. 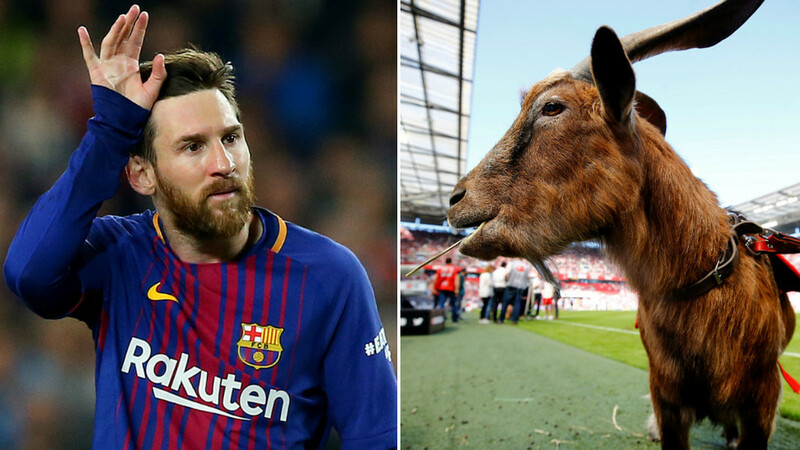 An adult goat is also seen with the Barcelona striker’s signature Adidas boots draped around its neck. The player himself shrugged off the GOAT theme, however, telling the magazine with characteristic humility: "I don't consider myself the best, I think I am just another player. On the field, we are all the same when the game begins." Messi also discussed his hopes for this summer’s World Cup in Russia, where Argentina will be looking to reverse the heartache they suffered four years ago in Brazil, when they lost in the final to Germany in extra-time. "We still have to make ourselves stronger as a team to be in the running to win and be at the same level as other teams like France, Germany, Brazil or Spain,” the five-time world player of the year said. “But we have a good group of players and the Argentine team is always going to be a candidate to win, it doesn't matter how we get there. We always aim to win and we will try to go slowly but strongly to advance in the competition." Messi made the move from his homeland to Barcelona when he was just 13, and has been at the club ever since – enjoying a career in which he has won every club honor on offer. Many see his trophy-laden cabinet, stunning goalscoring records and all-round individual brilliance as enough to cement his place as the greatest ever to play the game. 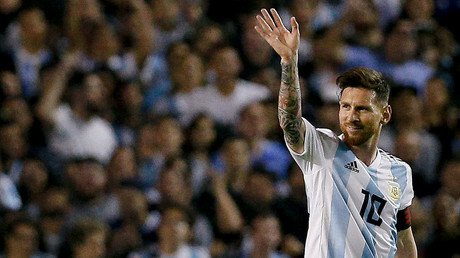 However, despite his 64 goals in 124 games for Argentina, others believe he will have to emulate legendary compatriot Diego Maradona and guide his team to World Cup glory before he can truly be proclaimed the GOAT. Messi and Argentina kick off their World Cup campaign against Iceland in Moscow on June 16, before taking on Croatia and Nigeria in a bid to win their third title. The World Cup in Russia this summer could tell whether the goat-themed photoshoot is an apt representation of an all-time great, or whether the magazine was kididng itself.